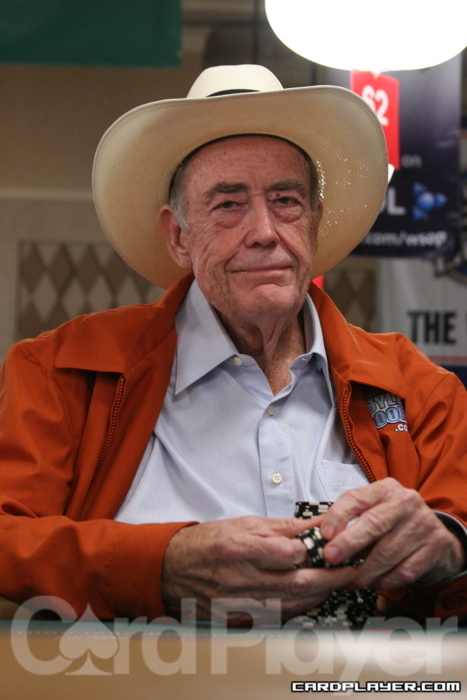 Doyle Brunson made three final tables at the 1998 World Series of Poker out of the 20 preliminary events that took place. He won the $1,500 razz event and followed that up with a runner-up finish in the $2,500 pot-limit Omaha event (T.J. Cloutier was the winner), and a third-place finish in the $5,000 deuce-to-seven lowball event (Erik Seidel was the winner). These three final tables brought Brunson to 19 overall, which only further grew his legacy. Other pros who booked a win in the preliminary events that year included Farzad Bonyadi ($2,000 limit hold’em), Kirk Morrison ($1,500 seven-card stud), Donnacha O’Dea ($1,500 pot-limit Omaha), Chau Giang ($2,000 Omaha eight-or-better), Daniel Negreanu ($2,000 pot-limit hold’em), David Chiu ($3,000 limit hold’em), and Patrick Bruel ($5,000 limit hold’em). When the main event started in 1998 there were 352 players in the field and two of them were of particular note. Matt Damon and Edward Norton took seats in the event to promote their upcoming movie Rounders. The two were not about to become dead money though, and took private poker lessons from Phil Hellmuth and Huck Seed. Neither actor made it past the first day, but they did bring a lot of attention to the tournament with the appearance. Damon busted out with pocket kings in the hole when he was up against none other than Doyle Brunson, who held pocket aces. Brunson did not last too much longer than Damon, but neither did any of the former world champions playing that year. Only one of them managed to cash, Jack Keller in 22nd place. When the tournament got past the money bubble, and 27 players remained, one player started to dominate. 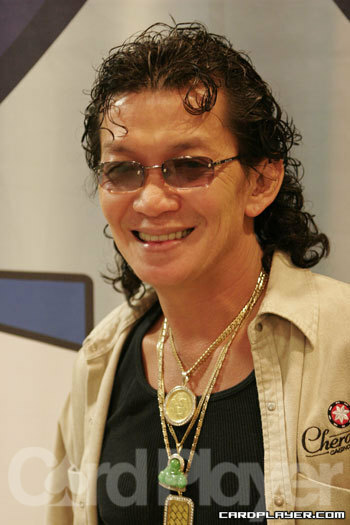 Scotty Nguyen was terrorizing the field with his game, and he eliminated one of every three players on the way down to the final table. At one point he eliminated two players on the same hand. Nguyen held A Q against Ben Roberts (pocket aces) and Jan Lundberg (pocket 10s) who were both all in. The flop gave Nguyen a queen and two diamonds, and the river gave him another diamond for the flush. This knocked out Lundberg in seventh place and Roberts in sixth place. The final television table began the next day and Nguyen was joined by Lee Salem, Dewey Weum, Kevin McBride and final-table veteran Cloutier. McBride disposed of Salem in fifth place and Weum in fourth place by drawing to a flush against both of them, which he made it in both cases to knock them out of the tournament. McBride had some confidence on his side and he won a surprising collection of pots against his more experienced opponents. He even managed to send one of them to the rail when he raised to 40,000 and Cloutier reraised to 120,000. McBride made the call and the flop was dealt 7 5 4 . Cloutier moved all in for 400,000 and McBride called with J 9 in the hole. Cloutier flipped over K Q for the lead until the J fell on the turn to give McBride the pot and eliminate Cloutier in third place. McBride went into the heads-up final with a lead of one million over Nguyen, but the lead was reversed by Nguyen’s solid play and determination to win. He took the lead and then grew it to a four-to-one advantage by dominating his opponent. McBride was hanging around and agitating Nguyen in the process. With an ace and two fours on the board Nguyen slid out a bet worth 200,000 on the river and McBride moved all in for an additional 186,000. He then left for the bathroom while Nguyen decided on whether to make the call or not. He called when McBride returned and he turned over A Q . McBride showed down 5 4 for the best hand. Nguyen was frustrated both by the outcome of the hand and his opponent's peculiar break. The chip stacks were now Nguyen: 2 million and McBride: 1.5 million. On the next hand Nguyen aggressively fired bets and raises at the board for a total value of 461,000. McBride was facing a 300,000 bet on the river with an ace and a king out on the board and pocket jacks in the hole. He mucked his hand and Nguyen turned up 6-5 offsuit for a stone-cold bluff. McBride then went on to lose an 800,000 pot with pocket aces that ran into a rivered straight for Nguyen. Nguyen was way ahead when he decided to call a 100,000 bet from McBride preflop. The flop came 9 9 8 and McBride bet 100,000. Nguyen made the call and the turn fell 8 . Nguyen once again just called and the river fell 8 , putting a full house out on the board. Nguyen moved all in and McBride decided to call all in for his tournament life. Nguyen turned up J 9 for the better full house and he was the new world champion. How could y'all miss one of the greatest lines in all of WSOP/M.E. history. Scotty is all-in with that J9 (better boat than the board of 9-9-8-8-8) and Mcbride is contemplating an all-in call for a chop and Scotty says, "You call and it's all over, baby!". Kevin M. says, "I call, I play the board." Just as Scotty said, it was "ALL OVER BABY".